In today’s Email Admin Tip we reveal how you can migrate email from Google Apps to Zimbra Collaboration at XMission. Utilizing a command line software tool called IMAPSync and OAuth authentication, you can migrate your email data between Google’s mail servers and XMission’s Zimbra mail servers. Currently, Google Apps supports use of OAuth and the following documentation links provide instruction on how to migrate email using OAuth v1 or with OAuth v2. But don’t go there yet. Take just a few minutes to read this entire article and the technical documentation on the wiki before starting the process. Note: This requires moderate to advanced technical skills. IMAPSync is a command line software tool that allows incremental and recursive transfers from one email box to another over IMAP. The tool compares source and destination hosts, and will copy any messages not on the destination server from the host server. It can be run more than once without resulting in multiple copies of messages. OAuth is an open standard for authorization which provides client applications access to server resources on behalf of a resource owner. It can do so in such a way as to not share the individual users’s credentials. The transition process away from Google Apps is a multiphase endeavor. You will need to address migration of your email, contacts, calendars, documents, and tasks, along with changing DNS and/or MX records. 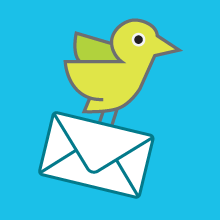 While there are many ways to migrate email, this post covers the most commonly utilized method. Consider this a suggested outline and feel free to contact XMission with any questions about the transition process. PLAN IT! Review the existing accounts you have and clean out the cruft. Consider the best way to move the mail for your organization. Identify if you want to move everything all at once or only portions of the organization in a staged migration. Test your plan with a few accounts, then set benchmarks required to meet the transition date. Start early. The larger mailboxes will take a long time to transfer. If you have both a large number of mailboxes and large storage, allow a week or more to manage the data migrations. We find it is best to do the transition over the weekend. Commonly the slowest email periods tend to be starting around close of business on Friday through Sunday evening. Before the transition you will want to provide your end users with instructions on how to update settings for their clients and devices. Remind them more than once of the transition date. SET MAILBOXES ON NEW HOST: Establish your mailboxes on the new destination Zimbra mail server at XMission. We are happy to help establish new accounts if you provide us a list of names and credentials. Optional: Use a temporary domain for a slower, staged email transition. If your primary email domain is example.tld, using a domain such as new.example.tld works well. If you accidentally use the primary domain name it will keep all mail local to the XMission email system. DATA MIGRATION – ROUND 1: Perform the first round of mail migrations using IMAPSync and OAuth. It is best to go easy and set the script to migrate approximately five mailboxes at a time. This avoids causing excess load on the remote mail systems. If you are moving hundreds, or thousands, of emails, we will provide oversight to help optimize the transition. EXPORTING NON-MAIL DATA: With Google Apps you must manually export/import the remaining features such as calendars, contacts, documents, etc. There are a number of ways to retrieve your data. We find this link on how to download your Google data to be particularly useful. Note: If any feature does not import correctly, it is best to try again. Download the data again from the originating server and try to import. If the error still exists contact XMission support. RELAX: Deep breath. Mail migrations can be taxing but this is going well so give yourself a high five! READY TO CHANGE: When all data migrations are complete and everything has tested well on the new system it is time for the final transition. You will update your MX record with your registrar or Name Service provider to mx.xmission.com. It only takes a few minutes for the mx record to update across the Internet. Congrats! You are live! Note: If you are performing a temporary domain migration, this is when you schedule a time with your XMission agent to update the mail domain on the XMission systems to match the primary domain name—in this case, from new.example.tld to example.tld. Next, rename the domain on Google Apps to something like old.example.tld. This ensures that messages from other mail users on the Google Apps system will make it to your new Zimbra hosting location. This also allows you to keep an archive of your old mail until you are ready to terminate the Apps account. SYNC THE DELTA: One last step. After the mx record change has propagated, run IMAPSync again. This will sync the differential in the mail file from between the time the original mail download occurred and the current day/time. A NEW DAY: Even if your migration went smoothly, it is best to plan on being at the office early after the transition to answer any questions your end users might have. HAPPY CAMPERS: Your hosted Zimbra Collaboration service includes 24×7 end user support for everything except password changes. End users can find the help they need on our contact or help pages. We encourage you to share this with your friends and network. Please post your comments and questions below and we will get back to you right away. XMission Proudly Sponsors the 2015 Twilight Concert Series XMission and UTOPIA Upgrade to 250Mbps!